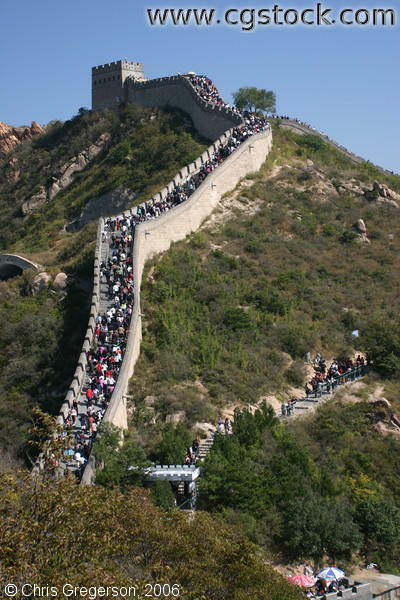 The crowd of people climbs the stairs of the long and winding Great Wall. It is the most commonly visited section by tour groups because it is one of the sections closest to Beijing. At the peak is one of the watch towers of the wall.